U.S. and North Korean officials are set to hold more talks next week but hopes for concrete steps toward North Korea's denuclearization are fading. If they continue to focus more on security and protocol than the denuclearization issue, U.S. President Donald Trump and North Korean leader Kim Jong-un could end up meeting for another photo op, as they did last year in Singapore, but achieve little progress. The U.S. Special Representative for North Korea, Stephen Biegun, said the two sides did not so much negotiate as state their positions in talks last week. The North Koreans apparently focused on how Kim will get around Hanoi as well as security and protocol issues. Vietnam's Foreign Minister Phạm Bình Minh said North Korea's Foreign Minister Ri Yong-ho invited him to visit the North from Tuesday until Thursday. Kim could also meet with Vietnam's President Nguyễn Phú Trọng before sitting down with Trump. Pyongyang wants U.S. sanctions to be eased in exchange for shutting down the Yongbyon nuclear facility and Tongchang-ri missile base. 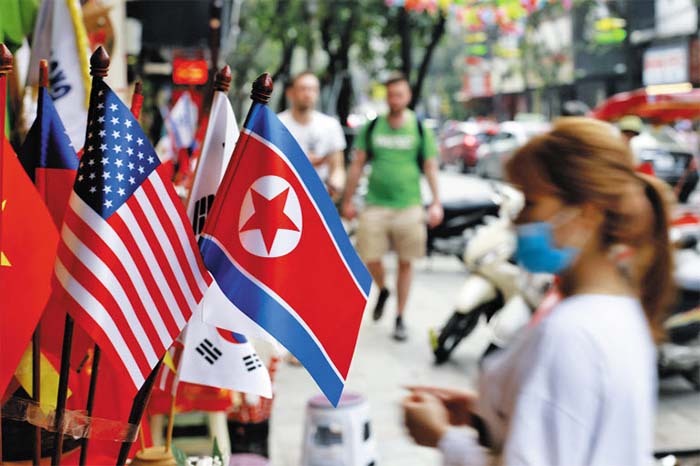 But Washington is pressuring the North to report, verify and scrap its nuclear arsenal according to a set deadline, while offering a declaration ending the Korean War, more humanitarian aid and the establishment of a liaison office instead of easing sanctions. Meanwhile, U.S. Secretary of State Mike Pompeo plans to meet South Korean Foreign Minister Kang Kyung-wha on Wednesday or Thursday during ministerial talks in Poland focusing on Middle East peace and security.